Are you excited for the weekend? I know I am because seeing as this was the first week back for the little one plus a lot of her evening extracurricular classes started back this week so it's been getting back into a routine. So I'll be happy to be able to slow down a bit this weekend. To start this Friday off I'll be sharing this my mani for the Nail Crazies Unite Day 12 prompt! Keep reading for more! Let's take a look at the prompts! 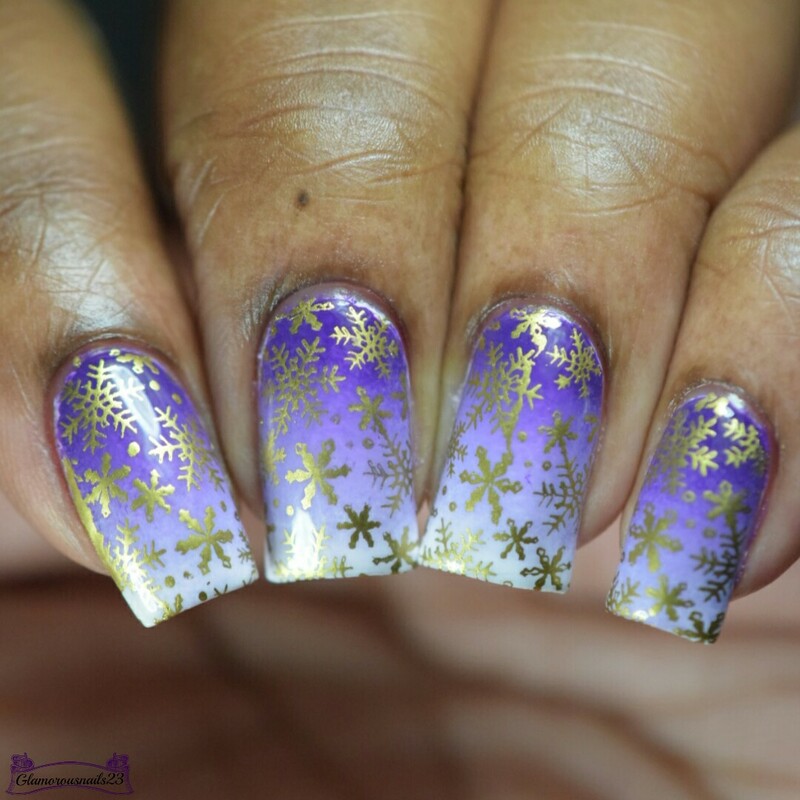 I wanted to steer away from the typical colours that would be used for this time of year and kind of just do what I felt like doing. 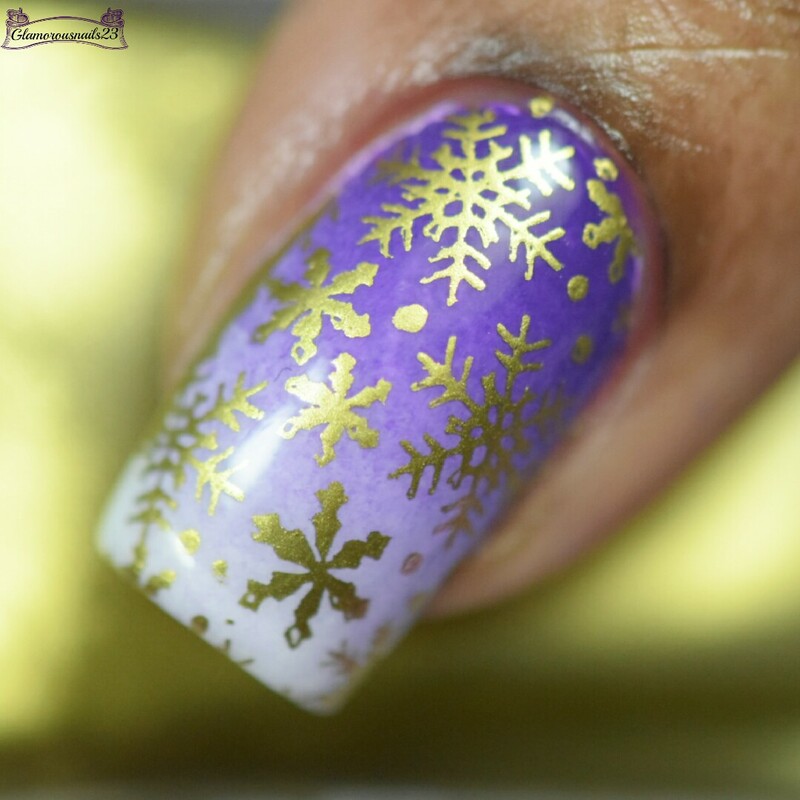 So I decided that I was going to with a purple, lilac and white gradient for my base and then just go from there for the stamping and not use white or silver for the snowflakes. 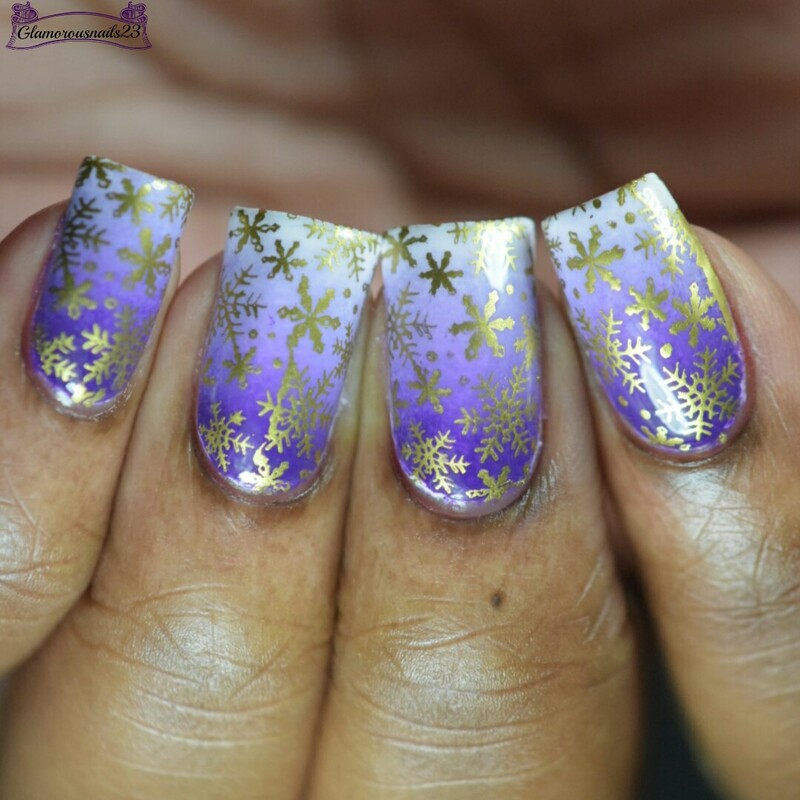 This is for sure one of my favourite manis of the year! TUTORIAL! !⍗⍗ Please don't forget to thumbs up and subscribe to YouTube!! These look like fun prompts. 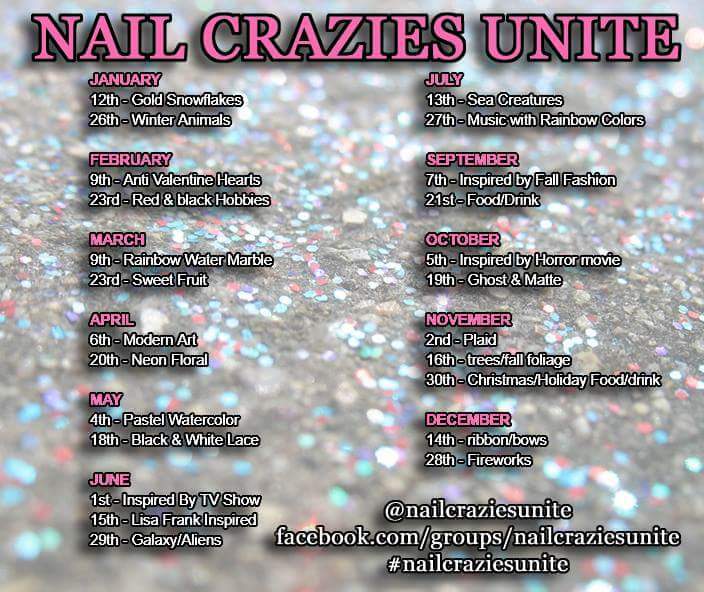 Great mani too! Love the purple base. It’s really unique for snowflakes. Thanks so much. Really wanted to do something non-traditional.